Need some more video game discussions in your ears, with some Southern flair and hilarious antics? 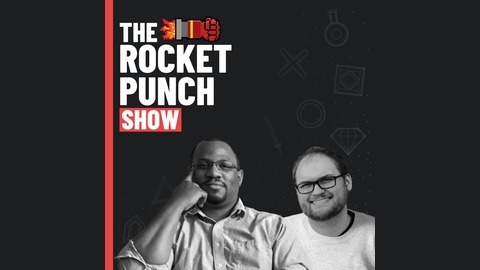 Join us for the Rocket Punch Cast, one of the premier video game podcasts around! 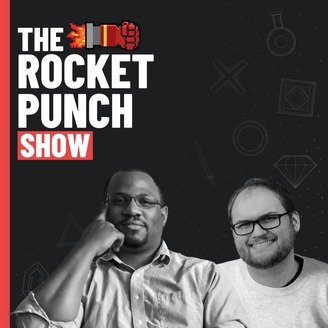 Hosted by Chris, Cam, and Will from the Rocket Punch crew in Huntsville, AL, each week they bring you insightful commentary on the latest news and happenings in the video game world, geek culture, and more! If you ever need to know where the crew stands on the latest game releases, how they believe the latest breaking news could affect the industry, or just need a laugh or two, then this podcast is for you! This week on the Rocket Punch Cast, the team bring you the latest news while quarantined due to illness! Will and Cameron chat through the powers of the internet about the reveal for Star Wars: Jedi Fallen Order from Respawn Entertainment, and discuss their thoughts on the newly revealed trailer as well as talk about what they hope to see from the game. Will it rock our socks off, or do we expect it to run into trouble getting out of the looming, microtransaction-filled shadow of Battlefront 2? Plus, Will decides whether the PlayStation name changes are actually a big deal, Cameron is excited to see what is coming to Moonlighter, and more! 130 - The Division 2 Impressions, Project xCloud, & Borderlands 3 Teases? ?